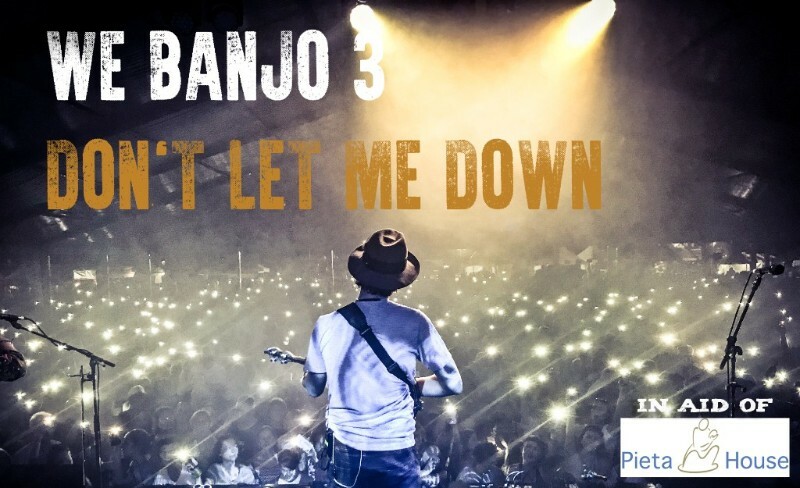 We Banjo 3 have released today a video of 'Don't let me down', a song from their latest album Haven, which was released in July (see the BIB for 10 and 30 Aug.). All proceeds from the song during this month and next month will be donated to Pieta House, a dedicated suicide prevention organisation in Ireland. 'Don't let me down' is written out of personal experience of struggles with anxiety and depression; but with so serious a subject, it is (as We Banjo 3 say in their press release) 'at its core a love song to your self'. Moreover - setting the 'Celtgrass' label aside - it would fall completely naturally into a bluegrass treatment. All the links needed for viewing the video on YouTube, sharing it on Facebook, downloading it from iTunes, and donating to Pieta House, are on We Banjo 3's press release.